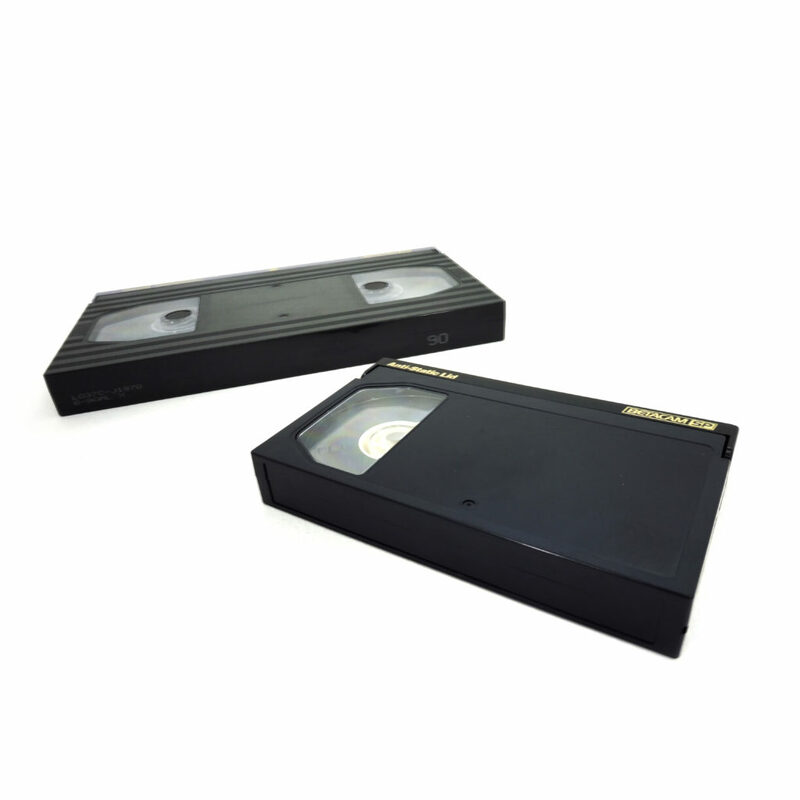 We have been transferring and converting videos for over 30 years, from the early days of VHS. There are many different types of video formats around nowadays; some are still being used, and others had been forgotten long ago. But even after your players and camcorders bite the dust, your precious memories don’t have to be held hostage by defunct formats… we can transfer these videos for you. Just in case you aren’t sure what you’ve got, here are some of the formats we cover at The Video Copy Company, and a bit of info about each…just click on the pictures below. In 1996, Sony developed its own version of DV (Digital Video) called DVCAM. The two physical sizes of cassette available are identical to their standard DV counterparts, meaning you could use these standard tapes in a DVCAM machine and record in DVCAM mode. The difference being, DVCAM would run 50% faster than standard tapes, so for example, a 60-minute MiniDV tape recording in DVCAM mode would on get you 40-minutes of footage. This allowed for frame accurate editing and made it less likely to “drop” frames. Though the smaller tapes would record for 40-minutes, the larger tapes would record for 184 minutes (3 hours four minutes). HDV is a video format for recording on High Definition digital video. This format was originally developed by JVC, but was supported by Sony, Cannon and Sharp. These four companies joined together to form the HDV consortium in September 2003. Launched as an affordable high definition format for digital camcorders HDV quickly became popular with many amateur and professional videographers due to its low cost, portability, and image quality acceptable for many professional productions of the day. 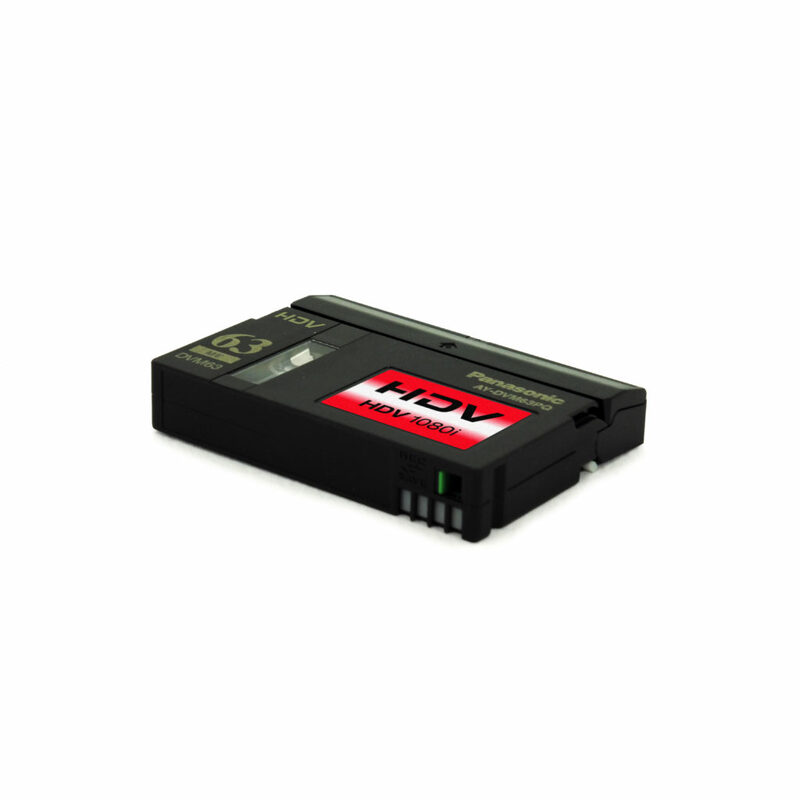 HDV was developed with three different recording formats; 1080i, 1080p and 720p. In the UK, the standard for broadcast has always been 25 frames per second. 1080i would display 540 vertical lines 50-times per seconds, first the odd numbered lines, then the even numbered lines, interlacing the two together. This would give a smoother look to the video, but could make fast-moving content, like sport, appear blurry. 1080p would show the full 1080 lines all at once, 25 times per second, as would 720p, but in a smaller scale. 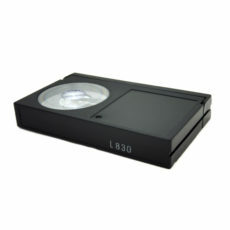 IMPORTANT – We are only able to transfer 1080i Mini HDV tapes, so it is advisable that you check the details either in your camera’s instruction manual, or it may be stated on the outside of the camera casing itself. If you have lost your manual, a quick internet search on the make and model of your camera should bring up the relevant details. If you are unsure, please contact us. Betamax was developed by Sony and released in 1975, and was the main rival to JVC’s VHS system. 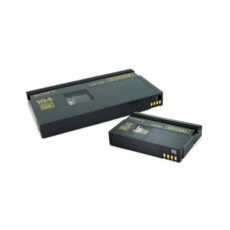 Compared to VHS, the size of the cassette itself was slightly smaller in length and width, but measured the same depth. It also provided slightly better video resolution than VHS (250 lines of detail, as opposed to 240). Though picture quality was a slight improvement, one of the main reasons Betamax lost out to VHS in the battle for the home video market was due to the recording duration of their tapes; they were shorter than VHS and so couldn’t fit long sporting events on. Betacam SP was a developed by Sony as an improvement on their original Betacam system from the early 1980s. Though introduced in 1986, it was still being used as the go-to format for standard definition broadcasting all the way in to the 2000s. Boasting 625 lines, awesome colours and vastly superior audio quality, there was no other format that would take the crown away from Betacam SP for many years, until the advent of digital and High Definition. Betacam SP tapes were available in a very limited range of recording durations. This was due to the high-quality tape within the cassette being much thicker. The smaller, 30-minute tapes were used in video cameras and the longer 90-minute tapes were used for mastering the completed edit using a playback or recording deck. U-matic was released in 1971 and was the successor to reel-to-reel video and was one of the first formats to have the videotape contained inside a cassette. The cassettes themselves were very large when compared to VHS and Betamax, which in turn, made the cameras and playback decks very large as well. As this format was mainly aimed at professional news gathering and broadcast organisations, this was not really seen as an issue. Eventually, smaller tapes (U-matic S) were made available, and, much like VHS-C, would fit in to an adapter for playback in an edit deck. In the mid-1970s, Sony introduced an improved version of the U-matic tape dubbed “SP” or “high-band”, with the original iteration then referred to as “Standard” or “low-band”. 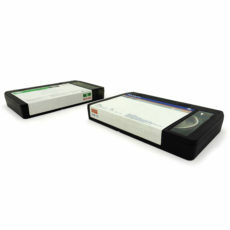 U-matic SP boasted improved colour recording levels and less noise. This pretty much replaced 16mm film as the format of choice for news gathering organisations, and, several years later, Sony evolved U-matic SP into a new format called Betacam. Don’t hesitate to contact us if you’re still not sure – it can be confusing! We can only copy videos that you own the copyright to. We cannot copy broadcasted programs, feature films or commercially owned and professionally produced material without the permission of the copyright holder. You can provide your own storage device at no additional cost. * All our standard definition MP4 files are produced at a rate of at least 10mbs and a maximum of 14mbs (higher than DVD quality), which will get you approximately 1 hour of footage per 6GB of storage space. All our High Definition MP4 files are produced at a bit rate of 25mbs (higher than AVCHD video cameras), which will get you approximately 1 hour of footage per 9 GB of storage space. If you have any different requirements, please contact us. Additional video formats (including home user formats) are also available. ** All tapes will be checked for damage before they go into our machines. All DVD transfers are to DVD-R. Please let us know if you require a different DVD format, please contact us. Unless stated otherwise, all our video tape conversion prices are for the PAL system. Other systems are available, such as NTSC, but please contact us for availability, information and prices.